Tuesday April 23, 2019 11:00 AM Come join us every Tuesday at the Surprise Barnes & Noble for Story Time at 11:00AM. Saturday April 27, 2019 11:00 AM Please join us on the last Saturday of every month for Sign Language Storytime with Michelle Kelley in the Children's Department. Michelle has been doing this for 10 years and loves sharing her time in sign language. Saturday April 27, 2019 12:00 PM Join us as author N.E. Colby signs copies of her latest children's book, Zoo Vet and the Otter. This book is a fun and informative tale for animal lovers of all ages. Stop by for a reading and a signing by N.E. Colby. Tuesday April 30, 2019 11:00 AM Come join us every Tuesday at the Surprise Barnes & Noble for Story Time at 11:00AM. Saturday May 04, 2019 12:00 PM Charlie and Florentina Mada will be joining us to sign copies of their book, Raised. This story follows the true events of miracles born from a terrible incident involving their infant son. Stop by to hear their amazing story and grab your signed copy of Raised. 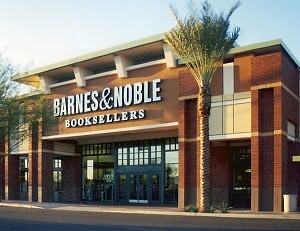 Tuesday May 07, 2019 11:00 AM Come join us every Tuesday at the Surprise Barnes & Noble for Story Time at 11:00AM. Saturday May 11, 2019 12:00 PM Come join us as author Suzanne Brown signs copies of her book, Everybody's Exceptional, Including You! Suzanne's book focuses on Exceptional Human Experiences, events in people's lives that have provided them a new perspective on who they are and what their place is in the world. Come speak with Suzanne, grab a signed copy of her book, and learn about Exceptional Human Experiences.